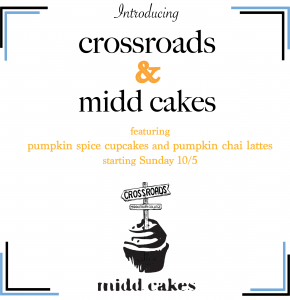 We’re very excited to announce that Crossroads will now be serving cupcakes from Midd Cakes! 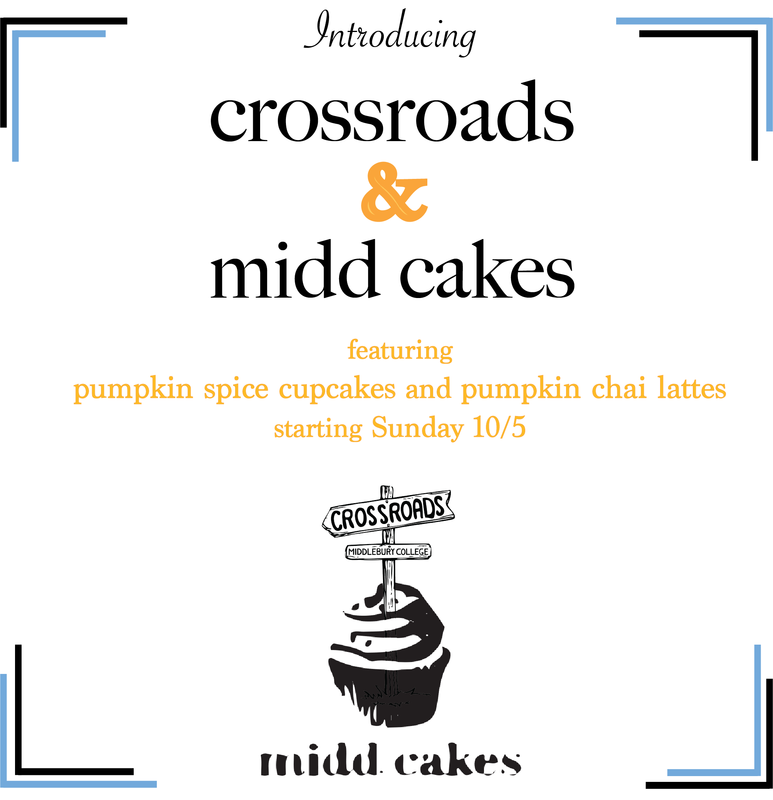 Midd Cakes is another student-run business on campus and we’re psyched to join forces to bring their yummy treats to you guys. We will be serving cupcakes starting TONIGHT (10/5)! On the menu: a pumpkin spice cupcake, perfect to pair with our brand-new pumpkin chai latte! Welcome back for the fall! Crossroads is open for business with plenty of new drinks for the fall (think matcha green tea lattes and pumpkin chai)! See you soon! April Employee of the Month: Kurt Alles! 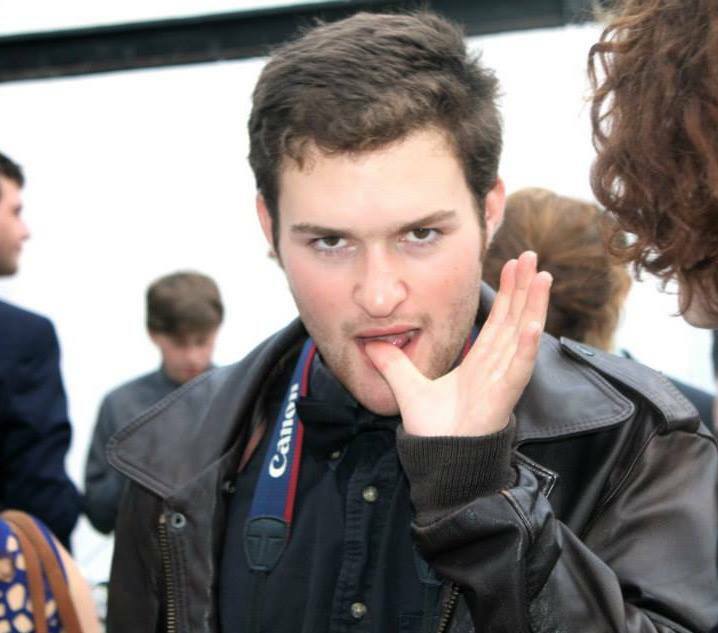 Kurt is a senior feb from Great Barrington, MA majoring in Environmental Policy. This febby feb’s favorite Crossroads item is passionfruit coulis, a yummy fruit reduction that we add to some of our smoothies. Kurt is an institution here at Crossroads. Why? 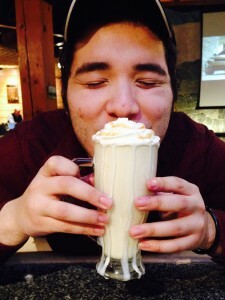 He is the last remaining member of the original server team from the first year we opened! You’ll know Kurt’s working when you can hear soul and funk music blasting in the café (Sunday nights, ladies and gents). Happy Spring, everyone! 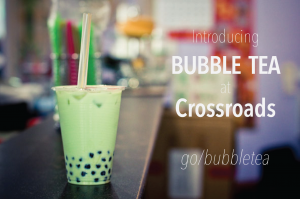 Spring is a time to break out the fun colors and new things so here at Crossroads, we’re celebrating spring by introducing BUBBLE TEA into our menu! 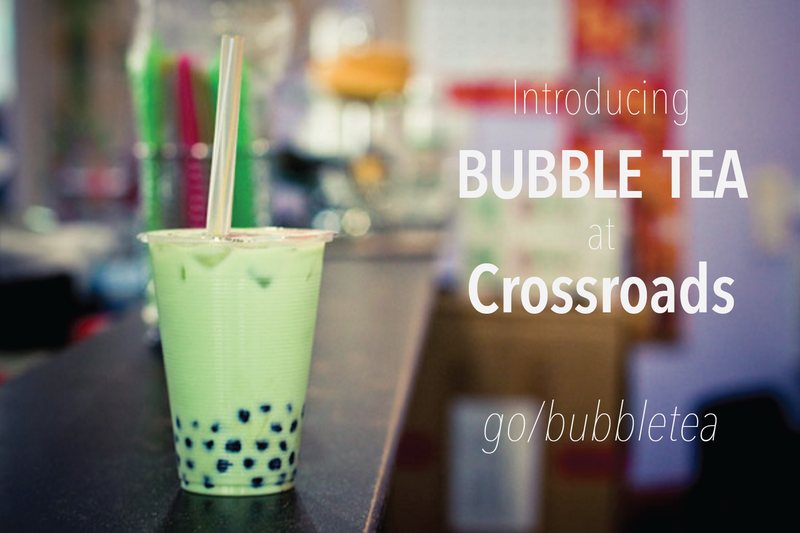 Bubble tea, or tapioca pearl tea, is a tea-based drink with tapioca pearls that first became popular in Taiwan. We’re super excited to bring this fun and delicious drink to our café, and in four different flavors, too: green tea, black tea, mango, and coconut. Stop by and grab one today! 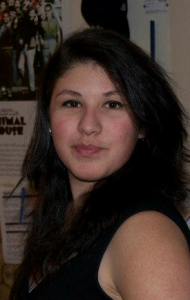 February Employee of the Month: Jeanette Cortez! 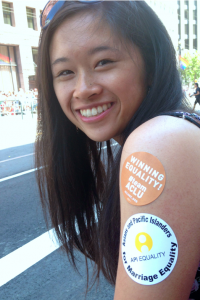 Jeanette is a junior from Los Angeles, CA majoring in French with a double minor in Education Studies and Linguistics. 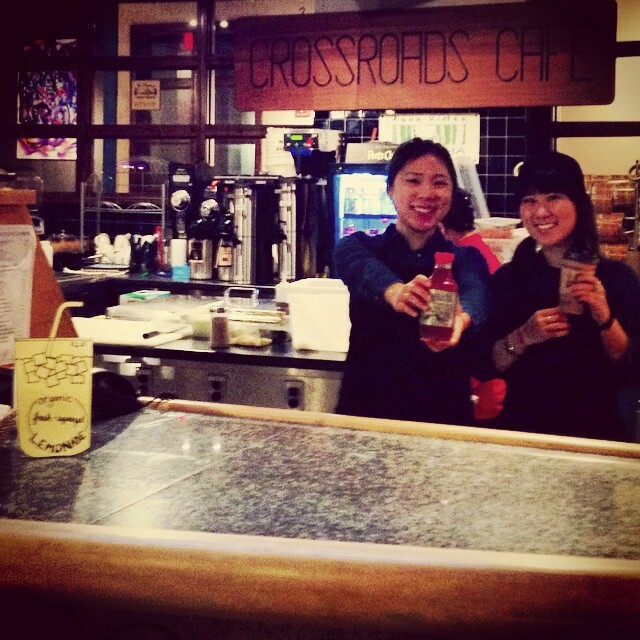 She started her time in Crossroads as our cookie girl but has since become a barista. Her favorite drink on the menu is the dirty chai, partly because of its deliciousness and partly because she believes that all good things in life are just a little bit dirty. 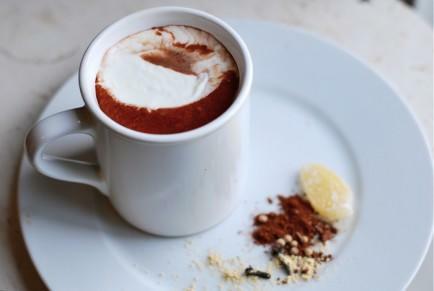 Another of her favorites is the Aztec spicy hot chocolate, which she says tastes JUST like the one her grandmother makes from scratch at home (we have the Cortez stamp of approval!). Cake by Mariah: Butterscotch Pecan Cake with Rum-Buttercream Frosting! Mariah’s newest gift to mankind is a butterscotch pecan cake with rum-buttercream frosting! Described as “so soft and so perfect” by one customer and only as “OMG” by another, this cake is the surefire way to get through the week. Stop by for a slice! Stoked for Sochi? So are we! In honor of the Winter Olympics, we’ve created The Gold Medal, a sweet-tooth satisfying caramel milkshake that’s sure to be a winner. 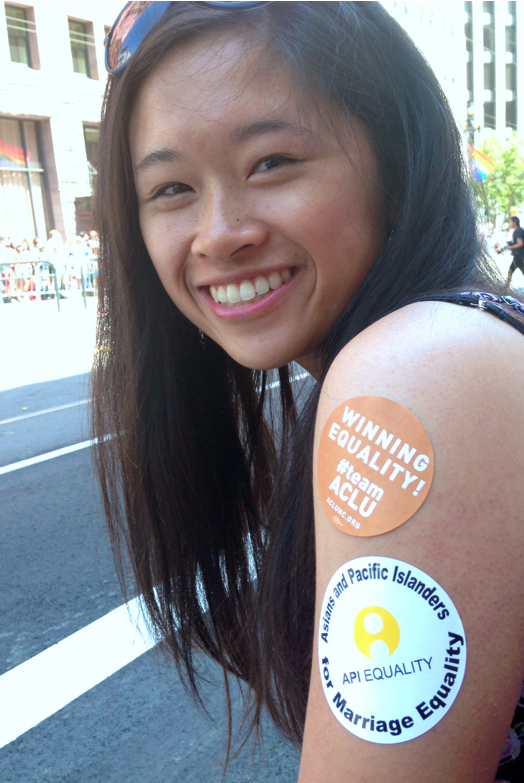 And thanks to our friends at MCAB, the Gold Medal is ONLY $2 until the end of the Games! As you can tell from our barista Ricardo’s expression, this milkshake takes the gold. Starting tonight at 5:30pm, Waffle Sundays are back at Crossroads! We are so excited to have a brand-new waffle machine to use, plus three different batters to suit all your dietary needs. 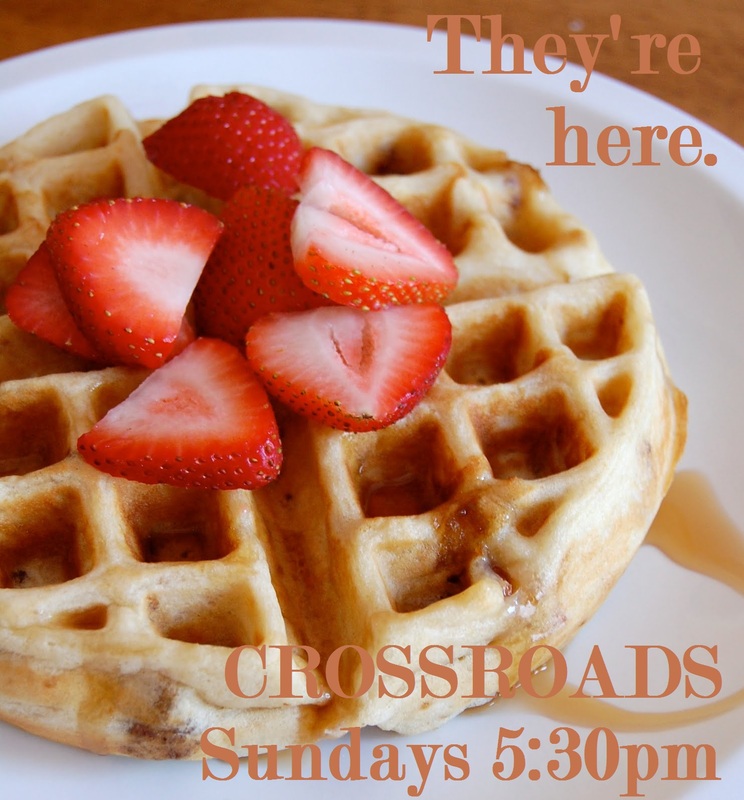 Get your fix of warm and toasty waffles with oh-so-many toppings tonight!